I appear to be 2-for-2 today. Earlier I wrote up the article that Hartley Sawyer, aka Elongated Man, was being made a series regular for season 5 of The Flash. A few weeks back I named Ralph Dibny the best new character of the season for the series. Now we get word that Jesse Rath, who plays Querl Dox, aka Brainiac 5, has been promoted to series regular for Supergirl season 4. Brainiac was my call for best new character on Supergirl. Supergirl –Photo: Diyah Pera/The CW –© 2018 The CW Network, LLC. All rights reserved. Rath made his debut in the 10th episode of the season, called ‘Legion of Superheroes’, when he was recruited by Mon-El (Chris Wood) to go into Supergirl’s mind to help her find her way out of a coma after being beaten by Reign (Odette Annable). 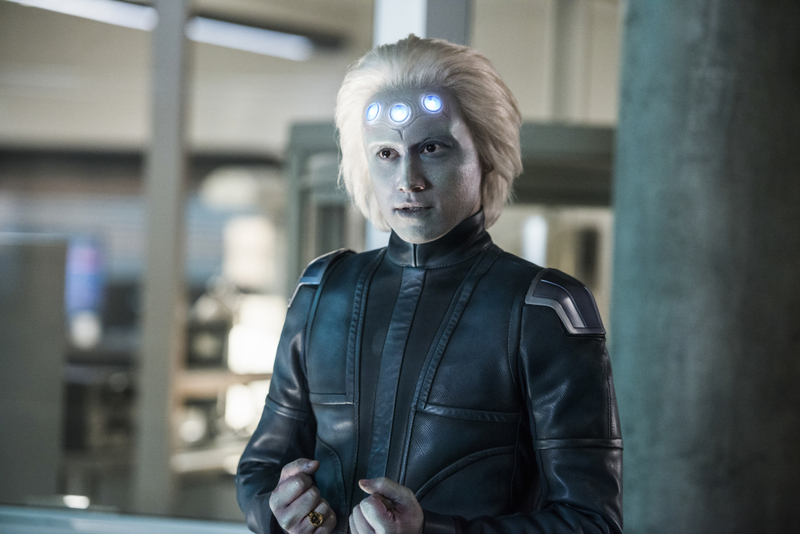 He stayed around for a while, eventually taking on a more human looking form before heading back to the future with Imra Ardeen (Amy Jackson), but they are supposed to return for the season finale. There has been a lot of rumors about the new season and which characters would and wouldn’t be back. Rath was rumored to be moving up to a regular with Wood, David Harewood, and Jeremy Jordan rumored to be leaving. But Harewood has said he is coming back as a regular — which leaves a question about Wood and Jordan. It would make sense if Jordan was leaving the show to have a character like Brainiac 5 to take over his duties at the DEO. But for now, this is just a rumor. Supergirl is moving to 8 p.m. Sundays when the series returns this fall on The CW.